A New Venture for the Dotty Mares...? 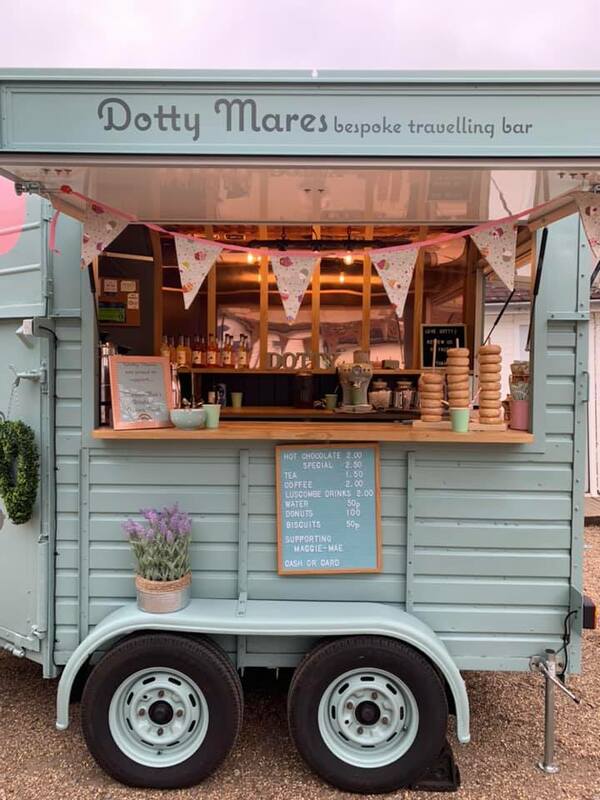 — Dotty Mares - Mobile Horse box bar - Serving London and surrounding areas. A New Venture for the Dotty Mares...? Mother’s Day saw the Dotty Mares take on a charity event in Marlow, raising money for Great Ormond Street children’s hospital. The event was held at Longridge Activity Centre, and despite the sun having disappeared for the day, the Dotty Mares were up bright and early ready to serve a different kind of drink! As you all know the Dotty Mares usually serve gin, prosecco, beer and other alcoholic drinks, but this time they decided to try out something new in the hot drinks department. The morning was definitely not the easiest with the power tripping out and our milk urns burning, but this certainly did not stop the Dotty Mares. Despite the lack of hot milk and intermittent power supply, they soldiered through and found multiple solutions for the problems they’d had in the morning. With one small coffee machine, one milk frother and a load of marshmallows - the families poured in over lunchtime, with the Unicorn and Oreo Hot Chocolates going down a storm with the children after they’d spent their mornings rock climbing and canoeing! Not to mention the donuts, which were selling like, well, donuts to children! The hot chocolates were great fun, both to drink and to make, and also was a fantastic opportunity for the Dotty Mares to try out something new, although when armed with only one very small milk frother, it was challenging to say the least but nevertheless a fun challenge as always. Exhausted and never wanting to see or smell a coffee again, the Dotty Mares cleaned up Dotty and headed home for a good night’s sleep, until next time!